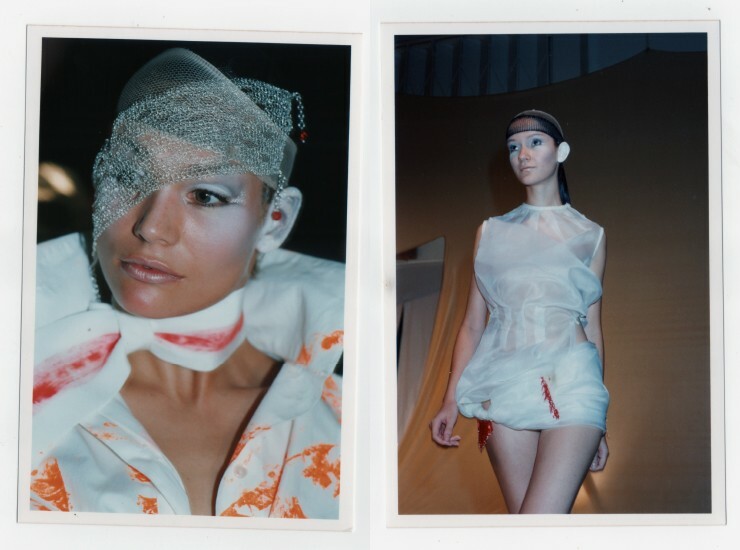 Archive for S/S 2000 / Lucina, O! 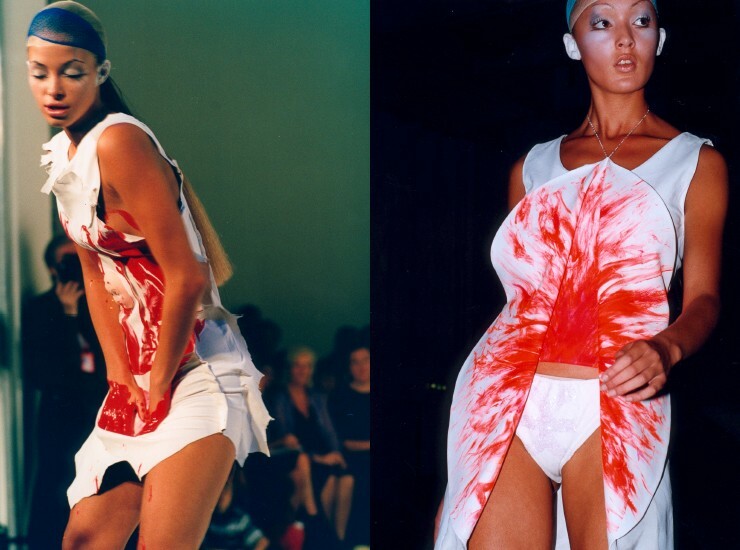 Category: "S/S 2000 / Lucina, O!" 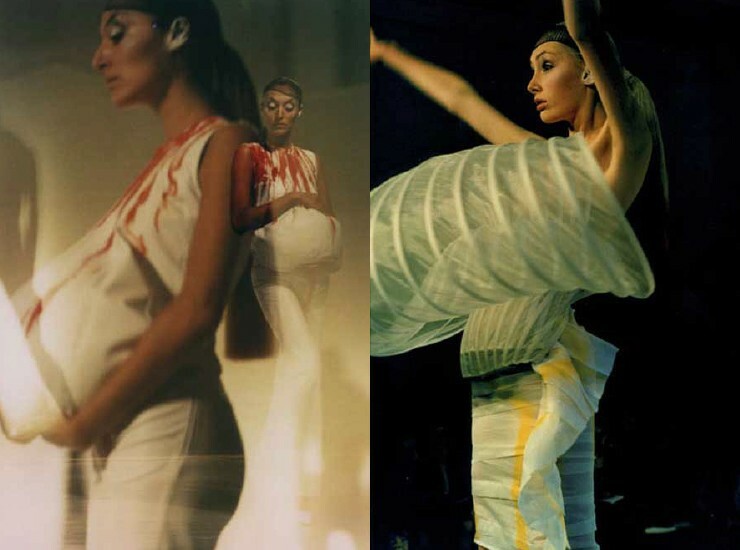 Lucina, O!, Arkadius’ debut collection at London Fashion Week presented on the 22nd of September 1999. Sponsored by Ebel, the Swiss horologists, the Lucina, O! 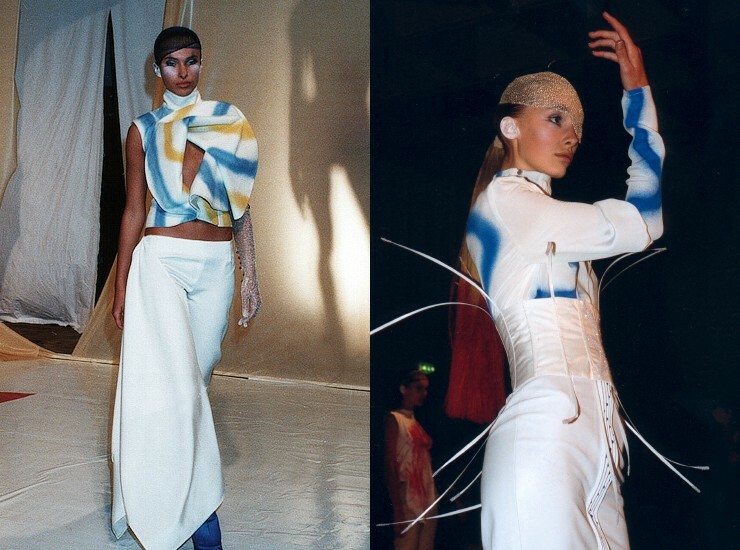 Spring/Summers 2000 collection has received great critical acclaim from the international media. 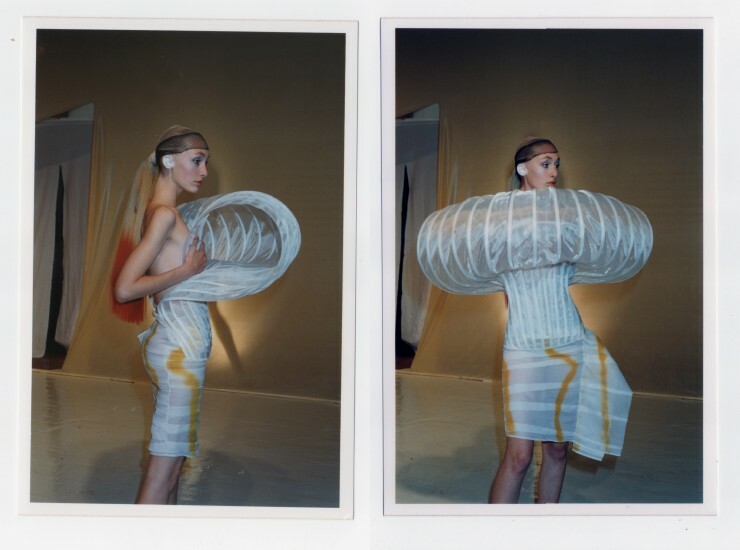 Drawing inspiration from the works of British artist Allen Jones and symbolism from Lucina, the Roman goddess of childbirth, Arkadius marks the turn of the century and a new millennium by incorporating futuristic designs with natural fabrics such as leather, silk and soft wool. 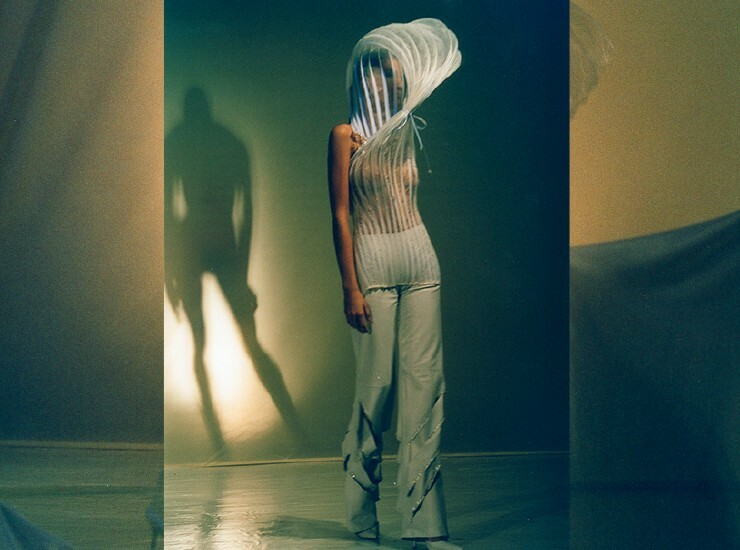 The dramatically cut jackets revealing bold patters with UV sensitive prints and soft, form-fitting trousers and skirts with unexpected detailing caught the attention of international fashion industry leaders.